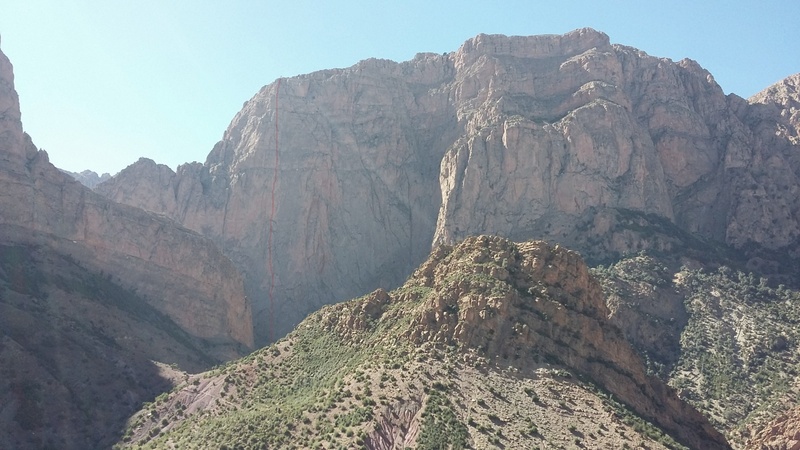 A huge unclimbed line on a 900-metre wall in the Atlas Mountains of Morocco. Jöttnar's Mark Thomas takes us through the physical and emotional trials of his first ascent of 'No Rest for the Wicked'. No need for the factor 20 on this holiday! Shivering the evening away on the portaledge, half way up one of the biggest vertical walls in North Africa, the North Face of Tagosjimt n’ Tsouiant creates a real adventure. It's an endurance fest beyond all my expectations. Tucked away on the North Western fringe of the High Atlas Mountains is the beautiful little village of Taghia. 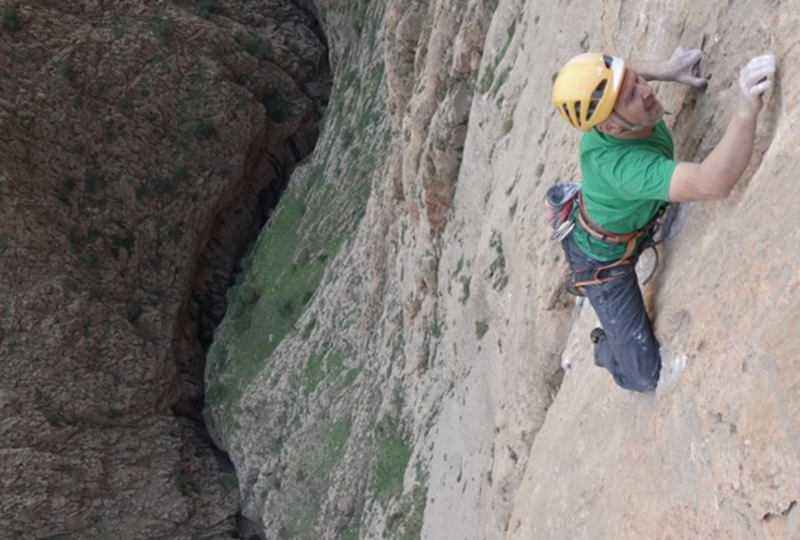 Accessible only by foot or mule, the three hour hike into the heart of this incredible gorge following the source of the Assif Ahnsal, sets the stage for the drama which unfolds itself over the next 11 days. Get up really early, do a bit of jumaring, pray the ropes haven’t worn through on any sharp edges, warmed up now, go climbing, endure the afternoon thunderstorms – keep climbing and ignore them, it’ll be fine (honestly! ), eat an energy bar, do some more climbing, some banter with the boys, take a massive fall when yet another micro cam rips, (why don’t these cams seem to stay in, baffling! ), dodge an unexplained hail shower of rock fall from above (I blame the goats), add a few more holes to the backs of my hands (not much skin left now), eat second energy bar, do a bit more climbing, sky hook fails – heart flutter, oh, it’s dark, stop. Abseil back to portaledge, try to put portaledge together when totally goosed, hanging on a rope and ever so slightly hallucinating - how the hell do you attach the fly sheet to the ledge when the ledge is already attached to the wall? Do some serious laughing – really childish stuff, hail shower, no, proper hail stones with lightning, wriggle into a half comfortable position (no spooning acceptable under these circumstances), last bit of banter, star gazing, some sleep, crazy dreams – another day in paradise. Can we do it all again tomorrow? Oh, ok, go on then, woop, woop! “Hey Twid, watch me here”. Pulling out from under the ‘Arrow Roof’ on pitch 17, with two and a half thousand feet of air beneath my feet, the rush is overwhelming and for the first time in 9 days of climbing on this beast, my mind goes into a spin. The realization of how, for a moment, this piece of ancient limestone, out here in a remote part of the High Atlas, will determine everything for me. What is it that can drive the human brain to ignore, put aside, all those feelings of vulnerability? When faced with that moment of commitment, knowing, for a brief second, that all the days of our lives will be determined in this once-in-a-lifetime decision. Some will say ‘you’re crazy’, but I like to think it’s the ultimate adventure – an uncertain outcome, but a bit like gambling. Everything is laid on the table, it’s all or nothing. Time stands still in my bubble, I’m committed, all senses are wired; this wall is truly outstanding. But as darkness falls and the summit, tantalizingly within reach, fills the night sky, etched into the twinkling lights above, we fix the rope, stash some kit and make the long abseil back down to the haven of our little yellow portaledge, in a sea of red Moroccan rock. With parched throats and throbbing hands, the evening melts away as we giggle at the ridiculousness of everything! What is it that can drive the human brain to ignore, put aside, all those feelings of vulnerability? Three hundred metres of Jumaring for breakfast. Day 10 on the wall, our battered bodies and bloodied hands screaming out for reprieve as I slide my hand jammer into the deep blue morning skies above. Doubts creep in through the cracks. For the first time, living in the shade, I’m feeling the warmth of the morning sun on my face and it feels great! We must be getting closer now. We swing leads with a new sense of urgency, everything is flowing. Mega! We lay on our backs, horizontal, flat, basking in the afternoon heat. Munching on the final energy bar, not a care in the world, all the suffering subsides and the flood of elation rises so intensely I can almost burst, releasing my emotions into the Moroccan mountains in a yell of elation and relief. High Fives and twenty four hours later we’ve descended the route, stripped everything down, bundled all the gear back to our hostel, hiked out down the valley, taken a 5 hour taxi back to Marrakesh, drank a beer and jumped on a flight back to the UK – ‘no rest for the wicked'! 'No Rest For The Wicked' - first ascent of a new route on the North Face of Tagosjimt n'Tsouiant (2982m, High Atlas Mountains, Morocco). 900m, 22 pitches, 7b+; by Mark Thomas, Mike 'Twid' Turner and Simon Hitches (2/10/18 - 11/10/18). 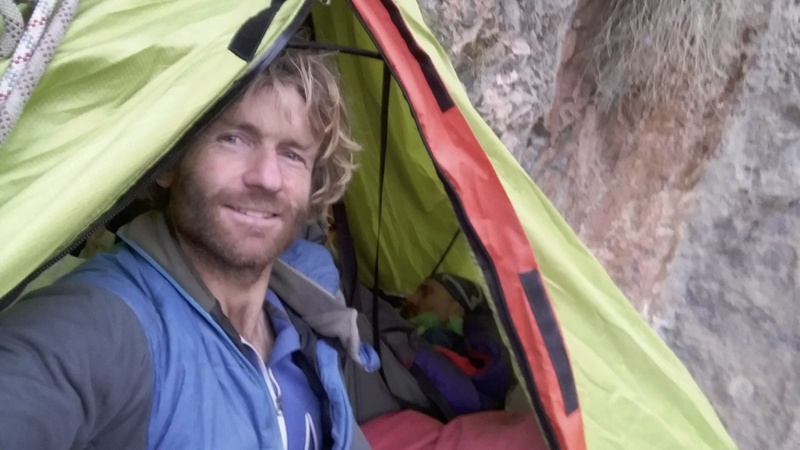 Mark Thomas is a member of the Jöttnar Pro Team. 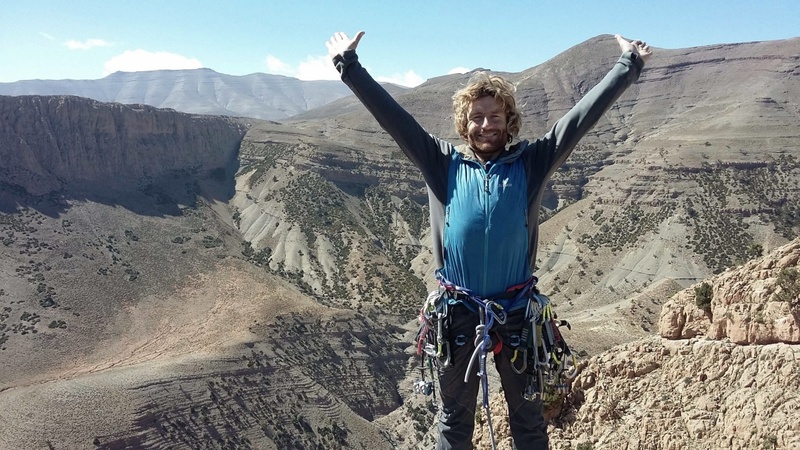 A talented all-round climber and IFMGA guide, he is also a co-founder of Elite Mountain Guides, a Chamonix-based guiding company. Read more about Mark here.